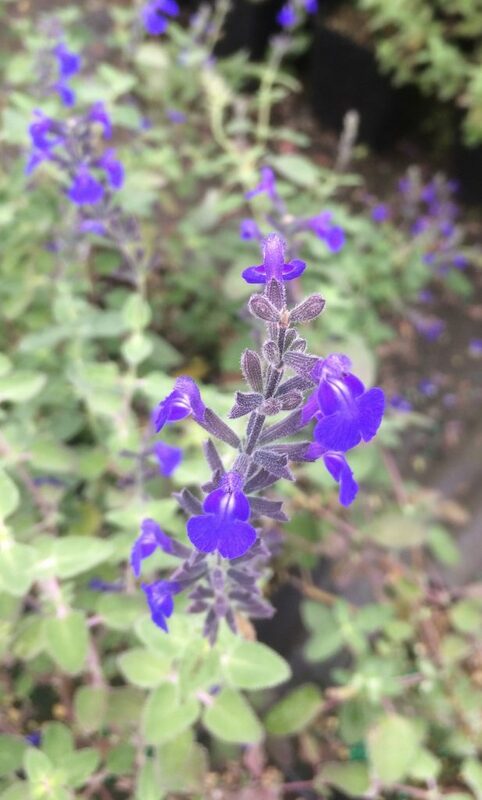 Always on the lookout for the latest and bluest Salvia. Well this one fits the bill. 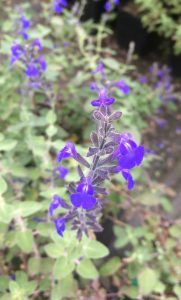 Sage green foliage shaded with gray on an upright semi-woody shrub to 2′ tall. Beginning in mid summer and continuously until frost a procession of deep ultramarine blue flowers. Remove spent flower spikes and more will return. Blue, oh, so blue. Full hot sun in a hot position in rich, WELL DRAINED SOIL. No boggy in winter or we freeze and die. Freezes back to the ground in all but the mildest winters (above 25ºF). Do not cut back in spring until you see positive new growth pushing then eliminate the dead material. Sun and good drainage. Light summer water.